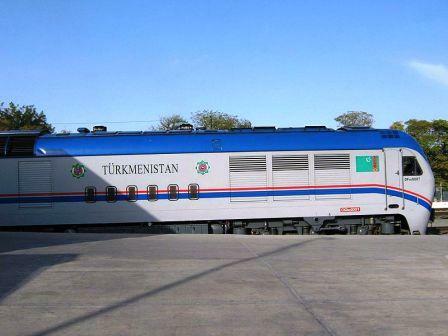 Turkmen railways - the state organization that owns and manages a network of railways in the Republic of Turkmenistan. The total length of railways - 2523 km. There are no electrified roads. The line Chardjou- Ashgabad - Turkmenbashi is partially double-tracked. 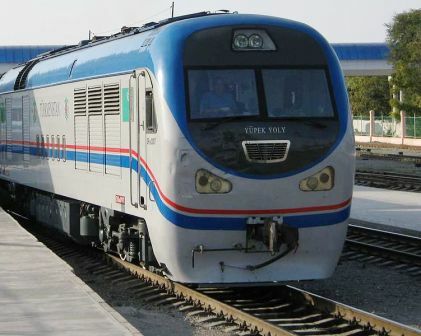 There are no international trains in Turkmenistan. All trains run only inside the country. In the years of independence theTurkmen built railways to the isolated parts of the country. The line to Dashhovuz across the desert was rendered, and the second line - along the Amu Darya river. Today the rail way to Kazakhstan (Aktau) is being built.